By 2002, there were more than 70 million obese Chinese living in China. This is more than the number of obese people currently residing in the USA. The increase in obesity is largely being credited to the adoption of a more westernised diet and lifestyle. As China grapples with its weight problem, traditional Chinese medicine (TCM) is now being applied in Chinese hospitals to aid weight loss holistically — with great results. Chinese medicine sees the problem of weight gain in a very different way from Western Medicine. There are numerous possible diagnoses, but easily the most common is what the Chinese call “spleen qi deficiency”. This can be roughly translated as having weak digestion that does not allow the body to absorb and transport food effectively. This means no matter how well or how much the person eats, they are left feeling tired, sluggish and usually hungry as the body is not absorbing nutrition from food, which makes weight loss hard. This can lead to a destructive cycle whereby the person always feels hungry and gains weight regardless of the efforts they make to eat less or healthier. Chinese and Western medicine agree that weight loss is important and that obesity can lead to a range of other illnesses, but the Chinese perspective differs in that obesity is seen as only a symptom of more important underlying problems that, if left untreated, will affect all the other organs in the body. Spleen qi deficiency can have a number of different causes and thus approaches to weight loss. There can be a genetic component and similar conditions can run in the same family. Unsurprisingly, it can also be caused by poor diet such as eating meals on the go, unwholesome snacking, lots of greasy or sweet food, too much cold food, cold water or other drinks, particularly beer. All of which hamper weight loss. Eating late at night is especially damaging for this type of condition. The Chinese clock states that the strongest time for the digestion is between 7am and 11am and this is the best time to eat larger or heavier meals. Too little sleep, lack of movement, overwork and over-thinking or worrying are considered especially hazardous to the spleen and not good for weight loss. Given our current lifestyle, it’s not hard to see why so many people could now be considered spleen qi deficient and thus are earching for a weight loss program. Classical symptoms of this pattern are bloating, sugar cravings, fussy or picky eating, low energy, bowel irregularities, allergies, food intolerances, obesity, sagging skin and muscles, pale complexion, dull and lifeless skin, low immunity, period problems and, in more severe cases, palpitations, dizziness and anxiety. If you experience these, TCM could supply your weight loss answer. The sweet flavour directly relates to the spleen and stomach in Chinese Medicine. The body craves sugar when it is not receiving enough energy from the food you are eating. Unfortunately, eating sweet foods makes the condition far worse. Most cravings we get are actually the worst things for us and are used in Chinese Medicine as a way of highlighting and diagnosing the problem. Sugar cravings cease when the stomach energy is strengthened again. This usually follows the development of digestive weakness, but in some cases can arise from other causes. Phlegm and dampness accumulate in the body, making it sluggish and heavy. This roughly translates to lowered metabolism in Western medical terms. Imagine a lovely stream that cannot flow properly because either there’s not enough water or there’s an obstruction (some rocks that may have fallen and blocked the flow of water, for instance). The water becomes stagnant and starts to turn green; it is no longer fresh water. This affects the rest of the streams water and all the plant and animal life that relies on the stream for nutrients. This is what happens in a phlegm damp stagnation pattern. If this pattern is not addressed, it affects many other internal organs, particularly the kidneys, reproductive organs and, more noticeably, the lungs. Phlegm accumulates in the lungs after being produced in the stomach. The Chinese have a saying that the stomach produces the phlegm and the lung stores it. Phlegm in the lungs causes difficulty breathing and that wheezing sound; it also can be diagnosed as asthma. Phlegm can be very difficult to clear from the body. Most people with phlegm and damp accumulation crave greasy or oily food as well as sugar, which of course aggravates the problem further. This pattern makes you feel very tired, cloudy-headed and quite heavy in the body. It can also affect your temperament, making you feel very fiery, restless and emotional. Symptoms can include a phlegm-producing cough, a full feeling in the chest and nausea. Chinese medicine predates modern science, so you don’t have to worry about calorie counting or modern dieting techniques when you are following a Chinese medicine weight loss program. 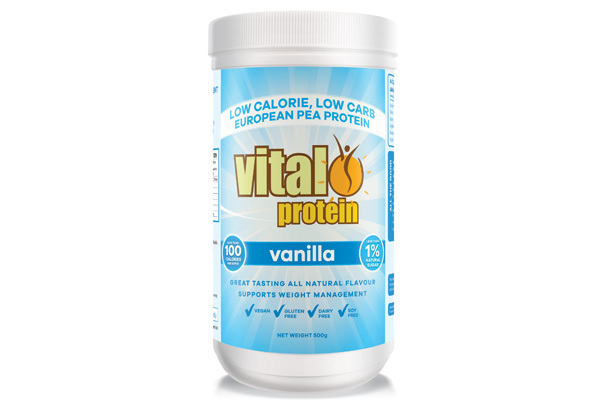 What is essential is that a dietary plan is tailored to suit your individual constitution and internal imbalances. Every person is different, according to TCM, and the treatment must be individualised according to pulse and tongue diagnosis. No generic treatments exist in TCM. Usually, a list of healthy foods for your constitution and a list of foods to avoid are provided to help you choose the correct diet. The foods are selected according to their flavour, nature and what internal organs they affect from a TCM perspective. Food is medicine and can certainly be used to balance the body in conjunction with Chinese herbs and acupuncture. When following a diet that strengthens the internal organs, you notice a difference in your digestive system within a short time. Binge dieting simply does not work from a TCM perspective — it just makes weight loss harder in the long run as it never addresses the cause of the weight gain. Being overweight is a symptom of an internal health problem, not a cause. In order to overcome the problem, the cause needs to be addressed. Many companies have taken advantage of people’s genuine intent to eat better. Many low-fat foods are full of refined sugars, and high sugar sweets often now carry the label “99 per cent fat free”. Neither will help you with weight loss. Ironically, many health-conscious people now drink too much fluid and this further weakens the digestive system, making weight loss harder. Listen to your body and observe how much you need to drink. This may take some time if you are a person who rarely feels thirsty. A simple trick is to monitor how often you are going to the toilet. More than 12 times a day is generally too much. The ancient Chinese sages said drink only when you are thirsty, but unfortunately this must now be modified to accommodate the modern lifestyle. Contrary to popular belief, from the TCM perspective, salads can make you put on weight. Raw foods are very cold in Chinese medicine and this often contributes to digestive weakness. When the digestive system is weak, it requires foods that are cooked and easy to digest. Raw foods can, of course, be very good for you, but when your digestion is weak it may not have the extra energy required to break down a large salad and this can leave you feeling bloated and tired. Unfortunately, some foods simply have to be avoided when weight loss is your aim. Although coffee has been shown to increase the metabolism, it is one of the major contributors to dampness and phlegm in the body and is best avoided. Oolong tea makes an excellent replacement and has long been used in China for weight loss. Other foods that are generally best avoided include chocolate, sweets, deep-fried, greasy food and raw foods. These foods all further contribute to producing phlegm, dampness and the weakening of the digestive energy. Chinese theory says you should always stop eating just before you are full. By eating in front of the TV you are often distracted from these early signs and it’s easy to over-eat. Remember to eat only until you are 80 per cent full and this will avoid a lot of bloating and digestive problems and will help with weight loss. Chinese herbal medicine is also prescribed for weight loss. Traditionally, this was in the form of raw herbs that were then boiled and this is still followed in most hospitals in China today. Many Western clients find this time-consuming and complain about the taste. Luckily, it is now possible to create TCM formulas in capsule form and still tailor the formula to your individual constitution and weight loss needs. Again, the herbs are selected according to your pulse and tongue diagnosis and always used in a formula to guide the herbs to the organs that need addressing. Generally, weight loss herbs are selected that tonify spleen qi, increase your energy and stamina, enhance your immune system and eliminate phlegm and dampness from the body. Often, herbs are also added to calm the mind, as this can make the process easier. The importance of herbal medicine in TCM weight loss cannot be overstated. It’s the quickest way to address the root cause of the problem and can save you hours on the acupuncture table. Many clients are wary of Chinese herbal medicine from past experiences of the taste and time involved. If this is the case, you should ask your practitioner about the options in capsule or pill form rather than avoid the herbs altogether. Surprisingly, acupuncture has a long history of use in weight loss, but it has only been in recent years that a systematic approach has been adopted by many Chinese hospitals. The acupuncture points selected usually include a variety of points on your arms and legs, depending on the individual diagnosis. Most treatment, however, focuses on the abdomen. Fine needles are placed on points that traverse the abdomenal area. Electro-acupuncture is then applied. A mild tingling is usually experienced in the area. Courses of treatment vary. In the hospitals in China it’s often used three times a week for three weeks and then the course of treatment is repeated as often as required. In weight loss practice in the West, this is usually modified so that one or two treatments a week are practised over a longer period of time, with similar results. According to Chinese studies, the acupuncture treatment alone produces significant weight loss in more than 80 per cent of clients. In between TCM weight loss treatments, small ear tacks are placed in the ear to stimulate digestive points. Other points can also be used to help keep the client calm and reduce food cravings. The points are painless once inserted and also provide the client with weight loss support between visits. Exercising for a minimum of half an hour every day will assist with weight loss and tone up the muscles as the weight comes off. Exercise is essential for weight loss to be successful and fulfilling. From a traditional Chinese perspective, qi gong practices were prescribed, but in modern use it’s more important that it’s enjoyable and regular. Remember, you are changing your life into a healthy one, so enjoy the process. You may find it easier attending classes, joining a gym or even hiring a personal trainer to assist you in your weight loss program. As with any weight loss system, the emotional and mental sides must also be addressed. There are a couple of easy steps you can take in this direction. First, set realistic goals. Just focus on losing 2—4kg every month consistently over a 12-month period. Rapid weight loss often leads to rapid weight gain in the end. Your body can sustain only a steady, slow weight loss without further damaging the internal organs. Remember, this is a lifestyle change and it needs to be done properly and not at the expense of your health, because that would make the problem worse in the long run. Second, an additional form of weight loss treatment such as hypnosis can easily be added to a TCM weight-loss program very successfully. Just remember to discuss this with your principal practitioner. Third, ensure during this time of weight loss that you are able to nurture yourself and spend quiet time alone. Try some meditation or yoga classes. Anything you can do that makes you feel good will only affirm that you are making the right decision and help you stick with the program to achieve the results you want. Avoid cold drinks, only drinking room temperature or above. Avoid sweet and greasy food as these will worsen the problem and produce more phlegm. Wherever possible cook your food. Eating cold raw foods contribute to this condition. Only eat until you are 80 per cent full, this is a classic weight loss tip. Eat your largest meal between 7 and 11 am when the Chinese clock states your digestion is strongest. Take half an hour’s light exercise per day to assist weight loss. Strenuous exercise is not always useful or advised in this condition. You can build up to that as your energy improves. Set yourself realistic weight loss goals and follow through on them. Keep in mind you want to make this change permanent so it has to be done in a way that you can still enjoy life. 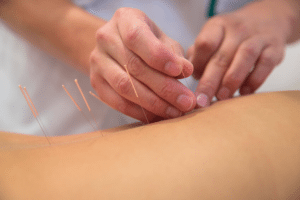 Acupuncture can relieve hot flushes and night sweats in menopause. Can acupuncture help our pets? Four TCM methods you can use in your own home to maximise your health and improve your appearance.